South America’s second economy is back in the news again. After defaulting on about $90 billion of its debt in 2001, growth resumed in Argentina and by 2005 GDP was back at pre crisis levels. The government of President Nestor Kirchner got lots of praise, esencially from the hetherodox side. But while the country was growing at a “Chinese pace” many issues were brewing up. 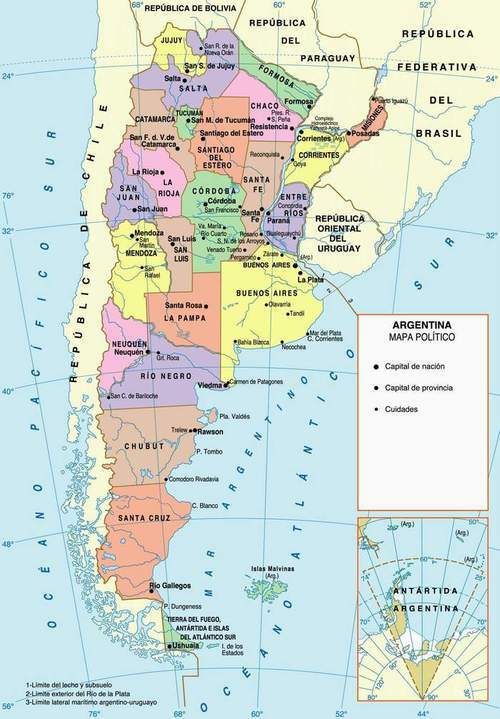 Argentina regained the attention of the international press as the new year began due to a currency crisis. The peso was the currency that received the biggest hit in the emerging markets basket. As we can see here, it is pretty clear that QE “hot money” almost didn’t visit Argentina at all. Moreover, in the first chart the peso’s different downward trend illustrates a government controlled exchange rate. The Kirchner administration refused to admit devaluation (as inflationary pressures mounted) and they set a course of a very gradual, but constant, fall of the peso against the dollar. The Central Bank was losing international reserves way too fast and when the January taper “event” arrived they let the peso ride with the market forces, devaluing almost 20%. But in order to explain how Argentina got to charts 1 & 2 we shall go further back in time and slowly but patiently explain a series of unfortunate government intervention measures. In October 2011, as President Cristina Fernandez de Kirchner got re elected a run against the over appreciated peso began, and foreign exchange controls were put in place to try and stop the dollar reserves bleeding. Then, in January 2012, imports were restricted via the implementation of non automatic licenses. The validation of those licenses basically depended on importers proving exports to offset the outgoing dollars on import operations. This regulation lasted (and some of it remains) until last year. Argentina ranks at the bottom with Peru, with an economy that is 2,4 times bigger. A crashing currency, FX controls, fleeing capital, lack of FDI and as you might have expected: inflation. Lots of it. And what’s even worse, the government intervened in 2007 the public agency that releases the inflation figures, and they have been lying ever since. This led to private consultants and provincial governments becoming the most trustful source for inflation data. In this chart you can see the federal government’s reported inflation (black line) and the average reported by provincial governments (red line). By May last year the gap was just over 15%. Since the peso’s January devaluation expectations have gone up and private consultants are estimating a 5% inflation reading for the month. In an even sadder note, the government and the intelectuals which endorse it, fiercely deny that monetary expansión has any relation with inflation. They put the blame on speculation, by banks and business. Credit/GDP is at levels not seen since the severe 2002 recession. Argentina’s populist policies are reaching its end game. Inflation continues to soar, the government was forced to devalue the peso as international reserves keep falling fast and external financing for a growing budget deficit (government spending stands at almost 50% of GDP!) which is now near to 5% of GDP seems unlikely if no major chances are undertaken. Spending must be curbed, the country needs a supply side revolution that spurs investment and productivity. Argentina is back in the news, but the Feds’s tapering which is rocking EMs currencies is a complete non-factor for the country. Problems go deeper, are much more serious and time is running out. If the government does not react in time another hyperinflation episode like the one that took place 25 years ago cannot be ruled out. Ezequiel Tortorelli will soon graduate from the Universidad de Buenos Aires Law School and is cofounder of the digital advertising agency Adyouwish, which recently added branches in Mexico City and Santiago, Chile to the original branch in Buenos Aires. He represented Argentina at the Model UN in Geneva in 2009. He has always loved economics.